>> ICSN CUSTOMER SERVICE PROFESSIONAL TRAINING, CERTIFICATION & MEMBERSHIP QUALIFICATION; 29 & 30 SEPTEMBER, 2018. >> GENERAL MANAGEMENT, OFFICE & ADMINISTRATIVE DUTIES TRAINING (PCGMOAD) 20 & 21 OCTOBER, 2018. >> INTERNATIONAL HUMAN RESOURCES MANAGEMENT TRAINING (PCHRM); 27 & 28 OCTOBER 2018. CUSTOMER SERVICE CERTIFICATION AND MEMBERSHIP QUALIFICATION PROGRAMME 2018. This highly respected and industry recognised certification by the ICSN, a body accredited by the Federal Ministry of Education partners with a United Kingdom (UK) based body Institute of Customer Service and Relationship UK to start offering this certification training in Nigeria at a subsidized rate. The training is a 2 days intensive fast-track course. The training covers an international customer service curriculum tenable worldwide and at the end you will be issued a Certified Customer Service Professional (CCSP) qualification certificate at various levels from the ICSN and also become a member..
Certification & Membership Training Date: Sat. 29 & Sun. 30 September, 2018. Application Deadline: Thursday 27th September, 2018 (subject to availability of spaces). Fill the membership/certification application form and return the form with other documents by email, physically or through proxy (a person appointed by you) at the ICSN Lagos Office: Plot 7 Block 73 Dr. Ladi Alakija Avenue, off Admiralty Way, Lekki Phase 1, Lekki, Lagos. 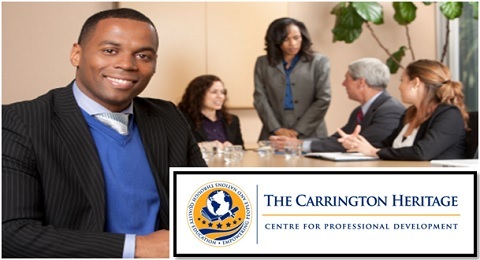 The Premium Educational International Centre in partnership with CARRINGTON HERITAGE CENTRE FOR PROFESSIONAL DEVELOPMENT TRAININGS UK (CHCPD) is seeking for candidates to enroll in Professional Certificate in General Management, Office & Administrative Duties (PCGMOAD) programme. 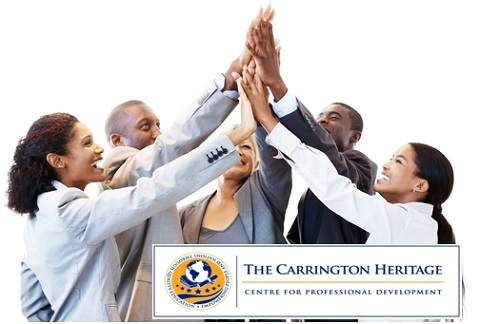 The training is based in Nigeria and after the programme, participants are awarded certificate by the prestigious trainings organisation (www.chcpdtraining.org.uk ). This program has been carefully designed for all management and administrative executives including but not restricted to Administrative Executives, Administrative Managers, Line Managers, Team Leaders, Supervisors, Entrepreneurs, Operations Managers, General Managers, diverse Management staff and anyone dealing with the day to day running of a business/company’s office at all levels including other professionals who have an interest in developing a career in this area or enhancing their management and administrative competencies for greater career accomplishments. Date: Saturday 20 & Sunday 21 October, 2018. Course Fee: N59, 000 (Registration before Friday 12 October 2018 is entitled to an early bird discount of N3, 000. Attendee pays N56, 000). Group registration of three (3) applicants and above attracts 5% discount. Pls. note that the herein stated course fee applies only to 2018 programmes. Application Deadline: Thursday 18 October, 2018. (Application is subject to availability of spaces for programme. Please call to confirm space availability before payment of fee). SATURDAY 27 – SUNDAY 28 OCTOBER 2018, LAGOS, NIGERIA. Date: Saturday 27 & Sunday 28 October, 2018. Discounts: Early bird registration attracts a N3, 000 discounts before Friday 12th October 2018. 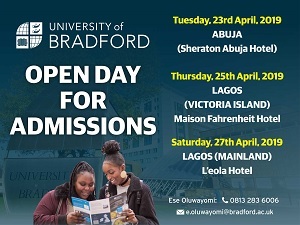 Early bird Applicants pay N56, 000. Group registration of three (3) applicants and above attracts 5% discount. Application Deadline: Thursday 25th October, 2018 (subject to availability. Please call to confirm space availability before payment of fee). >> HUMANITIES, MANAGEMENT & SOCIAL SCIENCES COURSES: N360,000.00 (Hostel included). 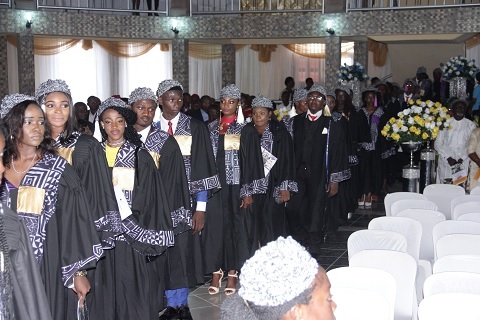 >> NATURAL AND APPLIED SCIENCE COURSES: N390,000.00 (Hostel included). >> Programmes in Law, Medicine, Engineering have commenced... register now. Note: Programmes in Law, Medicine, Engineering have commenced... register now. Preparatory Duration: 1 month intensive classes (weekdays).